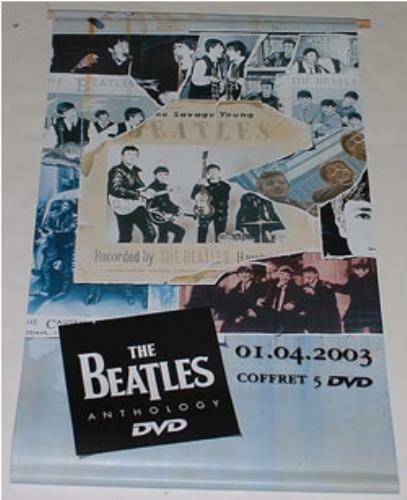 THE BEATLES Anthology DVD Banner (2003 French promo-only instore large double sided vinyl display banner to promote the DVD release of the Beatles Anthology with French text. Sized 27"x16" with wooden dowling rods top & bottom for support, complete with hanging cord! ).